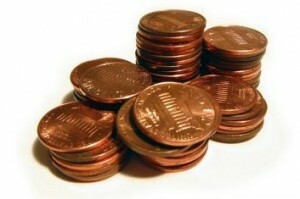 Prior to investing in the penny stock market, it is essential for you to open a brokerage account. You should be able to find a penny stock broker who will efficiently fulfill some of the important tasks when investing. If you plan to trade penny stocks, you must pay attention to the penny stock broker’s commissions and transactions fees since they will eat away at your returns. For over 25 years, Scottrade has been the leader in the stock brokerage industry – and it’s for a reason. Scottrade provides a wide range of investment products to meet your investment needs and financial goals. They keep their customers happy by avoiding unnecessary fees for things like IRAs, large orders, after-hours trading, account maintenance or inactivity. Scottrade is an excellent choice for beginner penny stock traders and those who invest in mutual funds, and long-term (buy and hold) investors (mainly because of no account inactivity charges). Because Scottrade is a stable, seasoned penny stock brokerage firm with a good reputation, it is the natural choice for people who don’t trust their money with newer companies but also don’t want to pay $10+ for trades with other established brokers. OptionsHouse is an online penny stock and options broker that provides a professional trading platform with a flat-rate commission structure for low-priced stock and options trades. With only $3.95 for a stock purchase/sale, it’s one of the cheapest brokerages if you plan to invest in penny stocks. TradeKing is an online broker providing low flat trading fees with no minimum account requirements and no hidden fees. TradeKing online penny stock brokerage accounts offer easy-to-use investment tools with low flat trading fees and no minimum account requirements. They have received the maximum 5-star rating for their customer service in SmartMoney’s 2011 broker survey, making them a solid choice for people who require assistance opening and maintaining their brokerage account. Discount Broker vs. Full Service – You should understand that there are two different types of brokers: discount and traditional otherwise known as full service brokers. Discount brokers are geared in influencing you to become the ultimate investor. In general, they will not provide you with investment advice. They plainly carry out your orders and decisions to purchase or sell a particular investment. The broker may give you the list of penny stocks, but you will perform most of the online trading tasks. Traditional brokerage firms, on the other hand, integrate working with a personal stock broker. The broker will show you investment ideas, make reports concerning your investment portfolio, present you a run-down of your investments’ performance, and at all times be available with just a phone call or email so you can purchase or sell penny stocks. In return for the customized service as well as guidance, you will have to pay a considerably higher commission amount. Commissions – Although the significant difference between the two types of brokerage services is the fee of each transactions based on the extent of work like providing penny stock picks, disparity in commission fees between two services of similar kind can be huge. While a discount penny stock broker may charge $30 each trade, another may only charge not more than $10. In some instances, the expensive service fee delineates higher form of service, more perks, and faster execution, but this is not always the case. Thus, it is critical for you to search around and compare quotes of brokerage firms before opening an account with them. Opening Balance and Maintenance Charges – Note that every broker sets a specific opening balance requirement. You should exercise extra caution though, there are brokerage firms that offer low opening balance but will let you incur huge maintenance cost if your balance goes down on a certain amount. Even though the fee may appear as low as $5 to $15 per quarter, it can later on consume your investment returns, especially if you are just starting out. Research, Perks, Investment Tools and Services – You should realize that there are no brokers that furnish the same set of research, perks, investment tools and service to their clients. Some will permit you to instantaneously log in to your account online and then print out an analysis of your portfolio, study the balance of your account for the last six months, check all your gains, and inspect dividend records for the last few years. Others may only give you an idea on the hot penny stocks and lack some of these features. When it comes to hiring a penny stock broker, there are many options to choose from. By keeping these factors on your sleeve together with the right attitude, you’ll surely get the best penny stock brokerage firms out of your personal penny stock trading account.